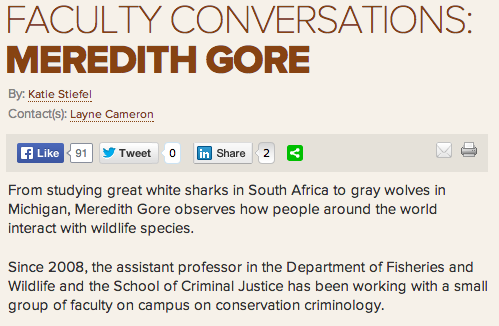 Dr. Julie Viollaz highlights some of her recent fieldwork and its implications for conservation criminology! Please see the following flyer for this fall 2018 3-credit graduate-level online course and share with your networks. Apologies for cross-postings. Contact me with questions, comments, or enrollment instructions. Increased globalization of illicit trade in natural resources endangers species survival, threatens the efficacy of sustainable development, deprives developing economies of billions of dollars in lost revenue opportunities, and fuels sociopolitical conflict. 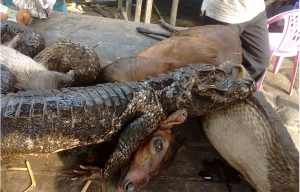 The United Nations identified the pace, sophistication, and scale of illegal trafficking of natural resources as an international “environmental crime crisis.” Governments around the world have acknowledged environmental crimes (EC) undermine efforts in development assistance and threaten national security; policies and programs continue to be developed in order to reduce risks to the US, its allies, and collective interests from ECs. Calls have been made for risk a management response that strengthens and synchronizes actions targeting coherent policy and behavior change interventions. One strategy to address these global and national threats is to develop better understanding of the causes and consequences of human behavior that underlie EC activities. Conservation criminology is one such strategy. challenges and opportunities for the road ahead. The long planned collaboration between my conservation criminology lab, Vinh University, Global Wildlife Conservation, World Wildlife Fund, Flora and Fauna International is getting off the ground! Dr. Julie Viollaz is leading the group from MSU, and was also recently named a GWC Associate. This project is going to be innovative on multiple levels and I’m so appreciative of Dr. Barney Long pulling us all together! I head to Vinh University for an extremely short but important trip; I’ll get to meet my collaborators in person (finally), introduce myself to the field research team, and hopefully conduct a site visit to one of our field sites. Wiley-Blackwell has published Conservation Criminology, the first edited volume on the topic of global risks, conservation, and criminology. This book reflects the efforts of amazing coauthors working on interdisciplinary environmental risk issues from around the world! What an honor to be able to collaborate with them! It is a great honor to have my research fighting environmental crimes be part of the MSU Spartans Will Campaign. I just returned from a super productive trip to eastern Madagascar where I had a chance to interact with amazing Malagasy conservationists working to reduce the causes and consequences of environmental crime! 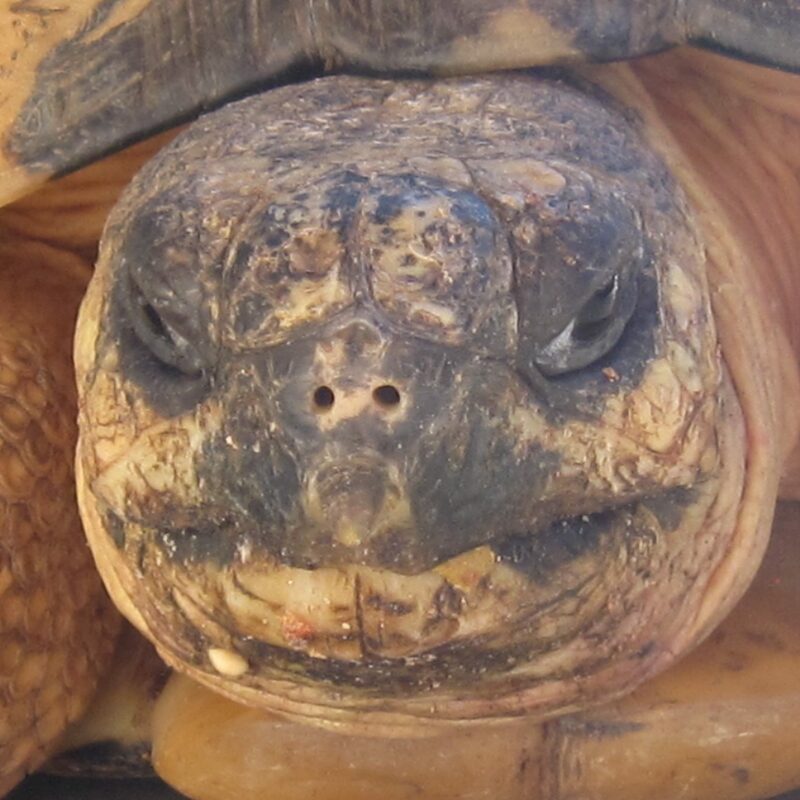 I spent two weeks working to better understand the conservation criminology-related issues surrounding rosewood logging and ploughshare tortoise poaching for pets. My trip was profiled by MSU Faculty Voices: Meredith L. Gore. 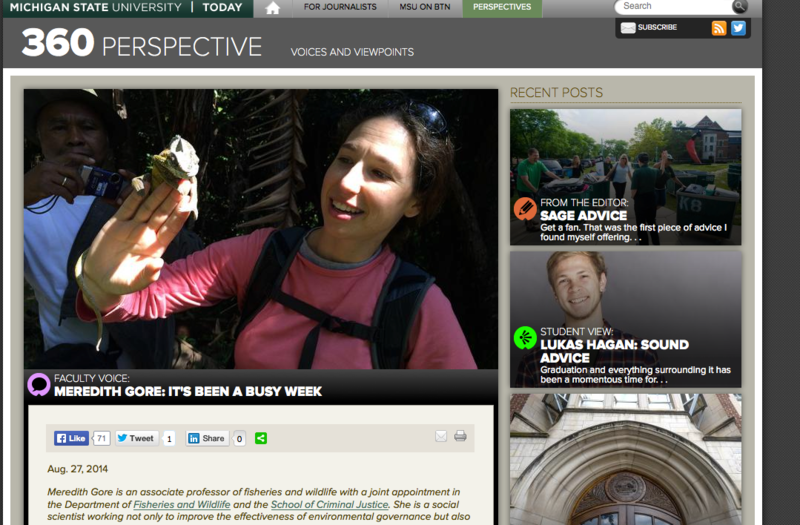 My work on human-wildlife interactions was recently featured on MSU Today.